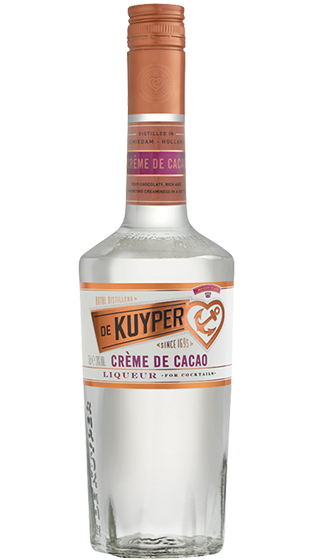 Tasting Note: A traditional sweet-chocolate liqueur with cacao beans and vanilla. Hardly ever drunk neat or on the rocks, Crème de Cacao White was developed mainly for the on-trade where a colourless chocolate flavour was needed in those recipes where dark Crème de Cacao would spoilt the colour of the drink. Clear colour. No colouring materials used.